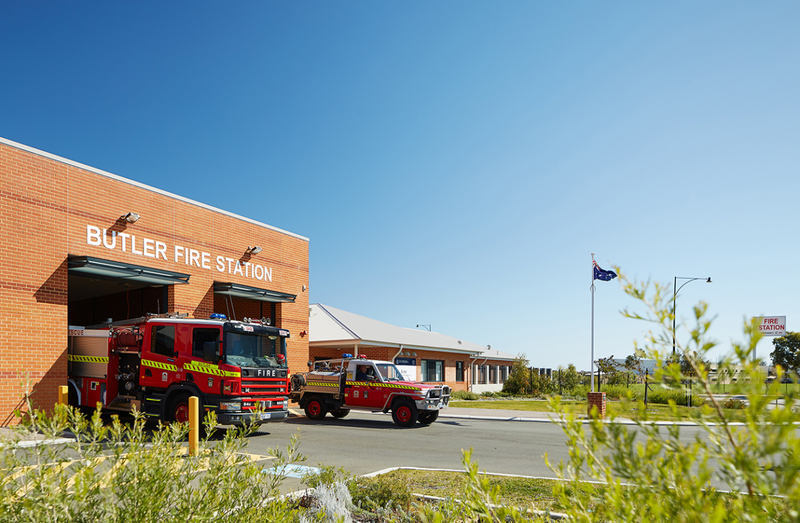 The new Butler Fire Station was constructed on a greenfield site to service Butler and surrounding areas for the Department of Fire and Emergency Services (DFES). It is designed to accommodate a total personnel compliment of 48 staff organised into 12 team members operating both between day and night shifts. A new 12 bed accommodation block runs east-west with light duty and amenity areas including: kitchen, lounge, appliance hall and heavy working spaces featuring a decontamination area. Externally there are two covered courtyards, one directly off the kitchen/dining space which accommodates an outdoor bbq. Generally, the building is of brick construction with a series of hipped roofs with metal roof sheeting over a timber truss structure. 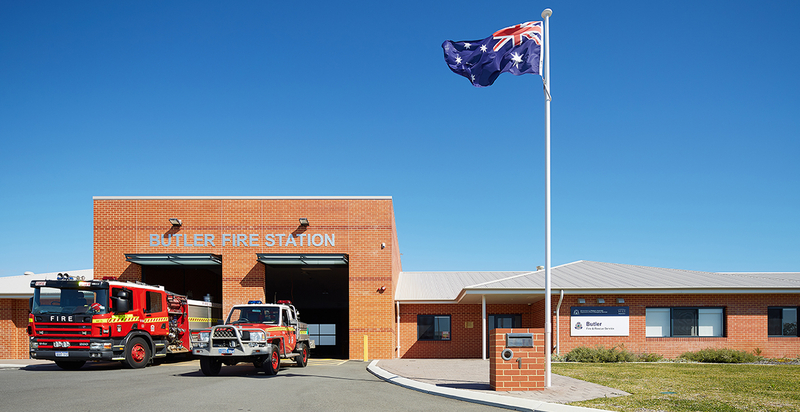 The design of the building and materials is in line with the DFES Brief for Fire Stations and delivers a simple, low maintenance ‘domestic scale’ of construction appropriate for this residential context.